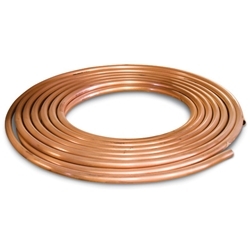 Use Type K copper tubing for water service lines and line repair work. This bendable pipe shapes easily—no need for separate connections or cutting. Sold in 60’ coils. Ships UPS. Note: Due to unstable market conditions‚ copper prices may vary. Shipping: Quantities of 2+ ship motor freight.